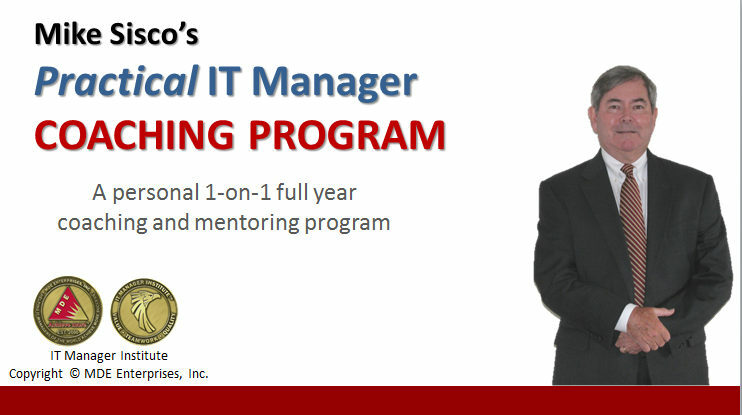 My IT Manager Coaching Program is a 1-year tailored program to work with you 1-on-1 to develop your IT management skills and help you achieve more success. When you do this it will BOOST your career! 1-day evaluation meeting – An online meeting with me or visit to my home to allow me to develop an understanding of where you are in your IT management capabilities, amount of experience you have, evaluate your business environment, and identify your goals and objectives. 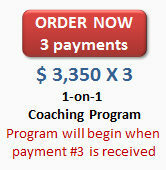 We will create a program outline to develop key skills you need that is specific to your situation. Monthly update meetings for 1 year – 1-on-1 update meetings to check your status and to allow you direct contact with me for questions and discussion via online conference. I use ZOOM and PRIORITY MATRIX so these meetings can be great opportunities to incorporate additional training or coaching tips you may need to tweak your plan and help you get more value from the program. These meetings help you stay on track and make progress every month in achieving more success. In addition, PRIORITY MATRIX will document every step of the way and many of the resources will be valuable reference material later on. 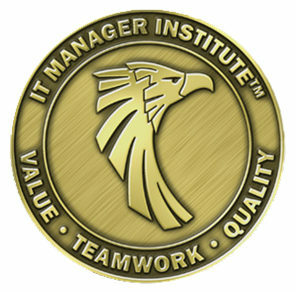 Free tuition to the IT Manager Institute and ITBMC Program – work through my online SELF STUDY training program or attend a scheduled WEBINAR class at no additional cost and earn your ITBMC certification. 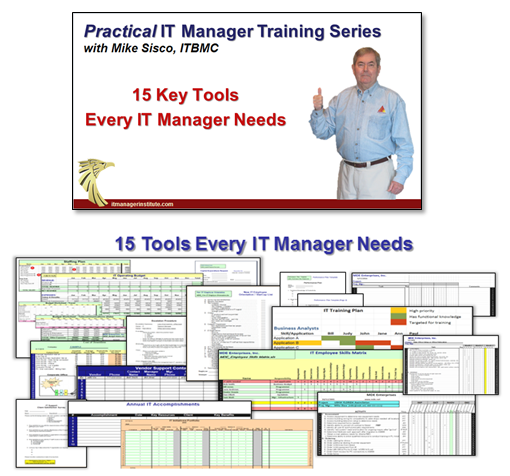 Monthly Practical IT Manager Training Series classes – 2 new classes are held each month plus past classes are recorded and archived for your viewing convenience. 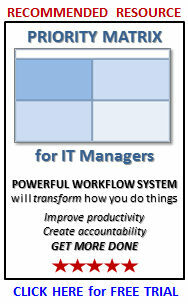 This is quickly becoming a significant library of excellent IT manager training. 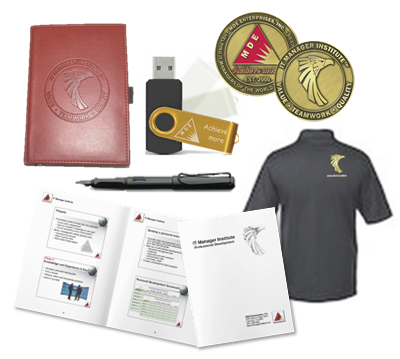 More – see http://itmanagerstore.com/member/ for details – PLATINUM Members receive everything we have. Unlimited access to me for 1 year – You have unlimited access to me for 1 year to ask questions, run things by me, or whatever you need. When it comes to IT management, I’ve probably experienced the issue and dealt with it in my career and should be able to provide value to help you. Most of this part can be handled by email or with PRIORITY MATRIX, but if we need to have more detailed discussion or if I need to show you something, we can always schedule an online ZOOM meeting as needed. This service is like having a senior mentor in your pocket whenever you need advice, a second opinion, or some coaching development. Use this service as often and as much as you wish, , , no limitation. BONUS Gift Package – Each participant receives a “welcome package” to help you and to show our appreciation when you join my coaching program. 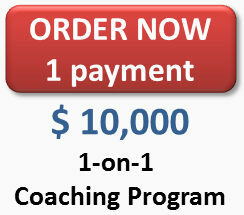 My 1-on-1 Coaching Program is tailored for each individual I work with. Each strategy is unique to the individual manager’s needs, goals and objectives and takes into consideration your current management skill level and experience. 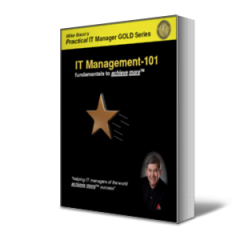 This program is not for everyone and due to the time and effort required of me it is available to just a few IT managers each year.